Uno Northampton Dennis Dart Pointer 2 KE04UMB on the 21, now competing with First's 2 as well as the 4 and Stagecoach's 16/17 and 1. The last day of service on First Northampton routes 12/28/29/30. 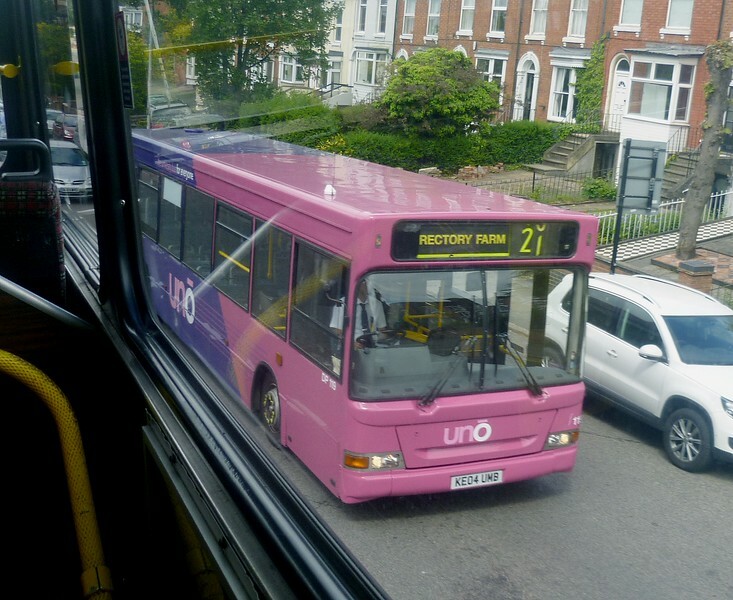 Uno's expansion continues with this new route to Weston Favell and Rectory Farm.